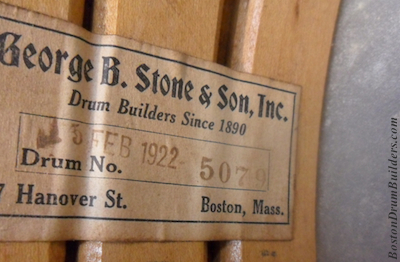 The newest arrival is a Stone Separate Tension Orchestra Drum dated 5 FEB 1922 from Boston's George B. Stone & Son. 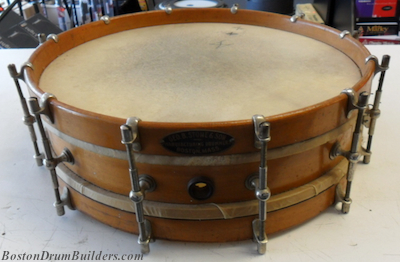 This one is especially interesting to me because it provides a concrete point in time from which to compare earlier and later examples of which I have two, three if you count the larger Separate Tension Band Drum. 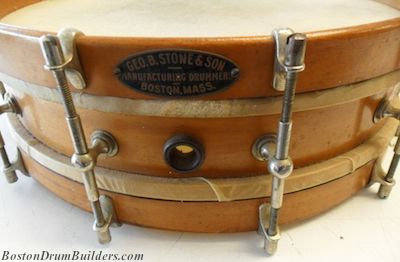 This drum could use some cleaning to loosen up the dust (and cobwebs....) and lift away the grime but it is structurally in good condition and should turn out nicely when I have time to get to it. 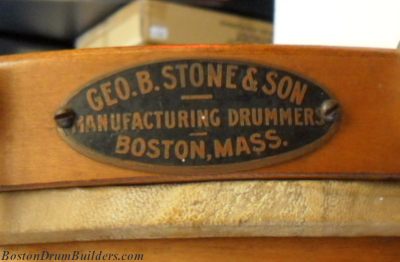 The drum was acquired via eBay from a music store in Massachusetts near Providence, Rhode Island. The following photos are from the auction listing. More pics to follow after the drum is detailed.